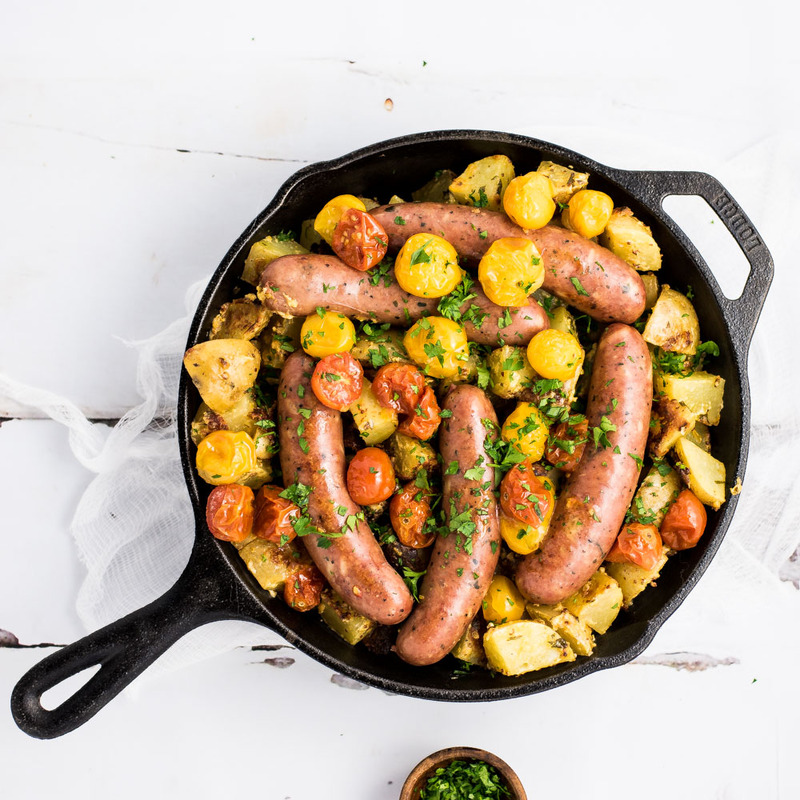 One Pan Roasted Chicken Sausage and Mustard Potatoes is the perfect weeknight meal, adorned with blistered tomatoes and a ton of flavor! 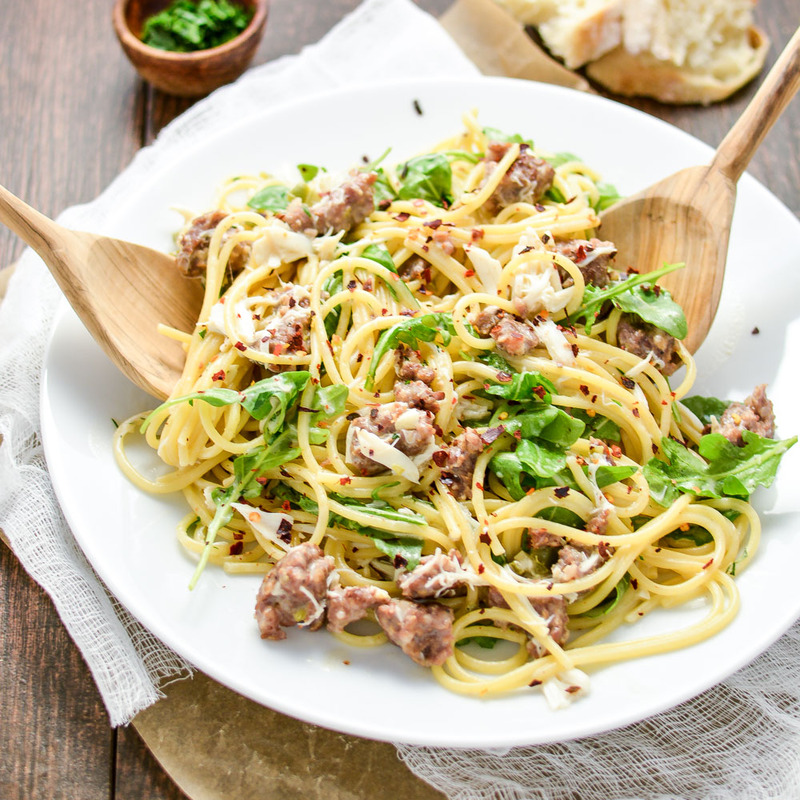 Creamy Brown Butter Pasta with Sausage and Crab is a surf and turf dish like you've never seen before! 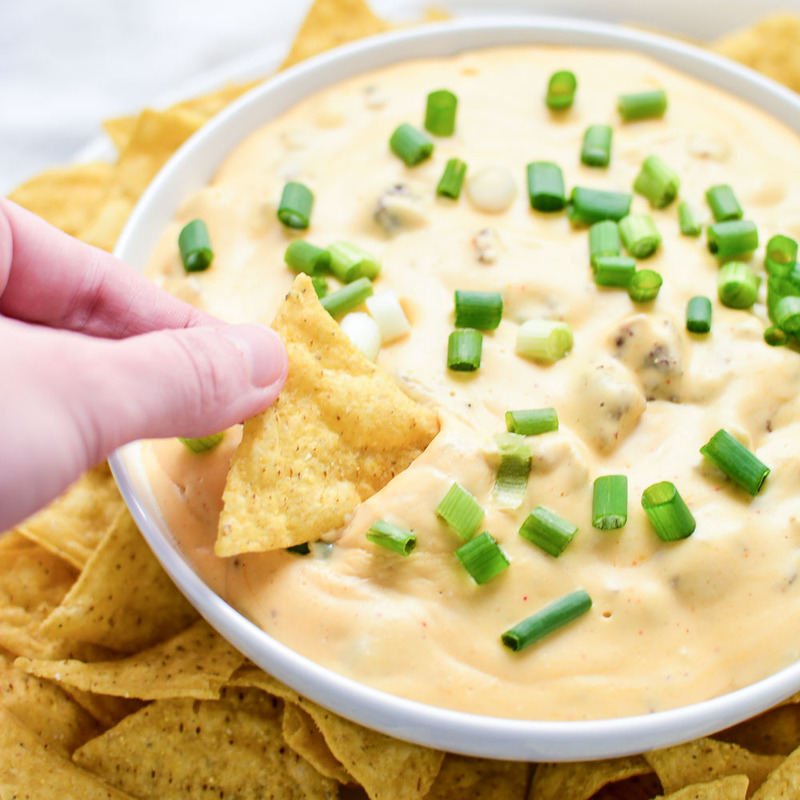 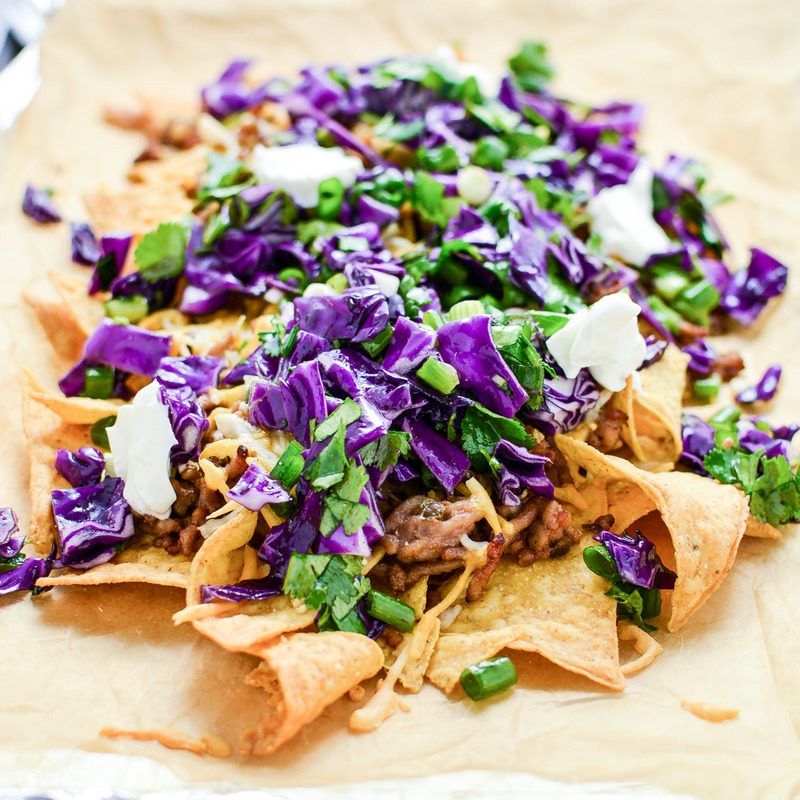 Asian-Style Nachos are the perfect spin on a classic game day recipe! 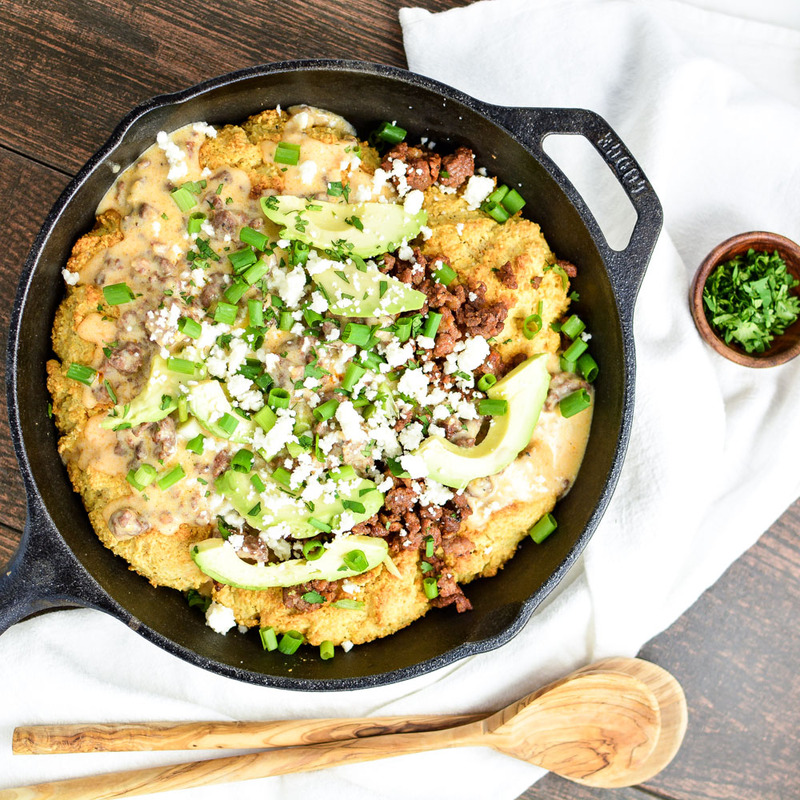 Cornmeal Biscuits and Chorizo Gravy is a fun twist on a classic that's perfect for a quick weeknight meal!